Sephora Color Token Eyeshadows 2013 . 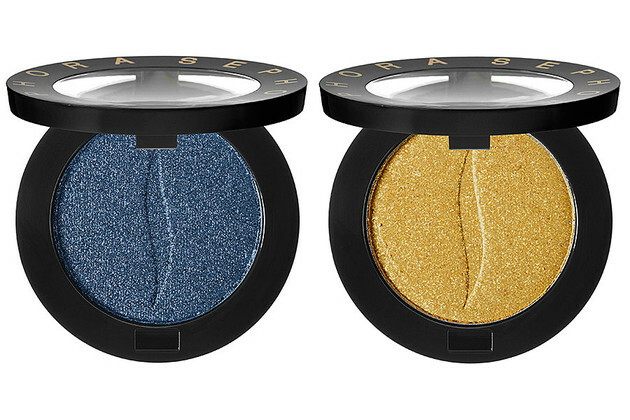 The Sephora Color Token Eyeshadow collection for summer 2013 brings a few interesting options for bold tone lovers. Summer is the perfect time to experiment with all kinds of amazing options color wise and the new season makeup trends definitely encourage fashionistas to opt for high impact styles which put the focus on their best features. The new Sephora eyeshadows are perfect for diversifying your new season looks and adding a trendy vibe. Bold colors are perhaps the easiest way to stand out and opting for the right effect can go a long way. This season, everything is metallic! No, seriously. From accessories to eyeshadows, the metallic accents make everything stand out, so no wonder the current obsession is directed towards spectacular choices which never fail to attract attention. The Sephora Color Token eyeshadows are ultra pigmented, have a smooth texture which blends easily and a fab metallic finish. The new Sephora 2013 eyeshadows are inspired by casinos. Unlike casinos where the results are surprisingly predictable, these eyeshadows can help you customize your result. Are you in the mood for a spectacular and uber dramatic wet look? An intense dry look? A combination of these two? No problem. The new eyeshadows can be easily customized to suit your desires as long as you put your skills to work and pay attention to every detail. Plus, these long-wearing Sephora eye shadows are formulated without parabens, which means the only thing you'll have to worry about is creating a flawless look. Feel like adding one or all of these new Sephora Color Token eye shadows to your makeup kit? Well, you'll definitely be glad to know that these fab options are already available for purchase on the retailer's website. For $12, any of these gorgeous new tones can be yours.